Marion, Illinois (September 18, 2015) On Saturday, September 12, 2015 the Frontier League Baseball Team the Marion Miners, proudly presented Gospel singer Steve Ladd to perform the National Anthem before about 3,000 baseball fans. Receiving a thunderous ovation the crowd was rambunctious in their applause which lingered for quite a while. Even the ball players and executives from both clubs commented on the performance being simple yet powerful and that is how Ladd intended it to be. 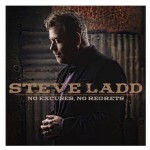 In other news about Steve Ladd, he will be performing at the Dollywood Harvest Fest on October 7th. Steve will also be a part of the Heritage of Gold Reunion concert at the National Quartet Convention in Pigeon Forge, Tennessee on September 30th. For booking Steve contact 256-266-1149 .